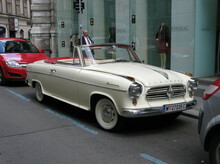 The first Borgward car appeared in 1952, the Hansa. 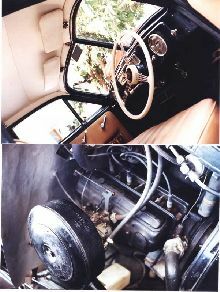 The Borgward Hansa had in fact been in production since 1949 when it was sold as simply "Hansa", a German marque founded by Carl Borgward. 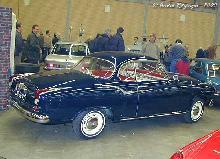 Carl Borgward also owned the Hansa-Lloyd and Goliath Works, all of which were combined to concentrate on Borgward production. Over a ten year period (1952-62) the Borgward company produced an innovative and unusual range of cars, all having a sporting/luxury image. 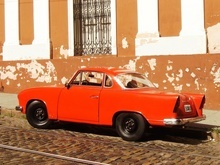 Most famous are the Isabella models which included saloon, coupe and cabriolet versions. 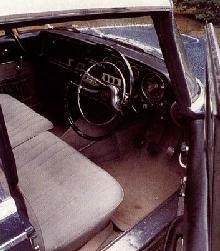 The last Borgward, the unsuccessful 2.3 Saloon, entered production in 1959 and finished in 1962.